New Zealand went on to clinch the Rugby Championship title for the third consecutive after they defeated Argentina 17-35 in the fifth round at Estadio Velez Sarsfield on Saturday. The win has taken New Zealand to 21 points - seven over second placed South Africa with just one more round left while Argentina are at third place with eight points. The All Blacks suffered an early blow even before the game started with Luke Whitelock ruled out of the game and as a result Ardie Savea was drafted into the XV. It was Argentina, who got their first points on the board when Shannon Frizell was penalised and Nicolas Sanchez kicked a sixth minute penalty goal. 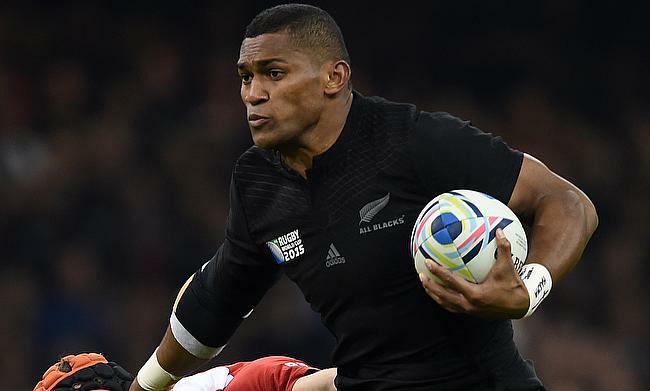 The visitors hit back two minutes later when Waisake Naholo's run leading to Ben Smith, who in turn offloaded Rieko Ioane for the opening try in the eighth minute that was converted by Beauden Barrett. Argentina had a change to reduce the arrears but Sanchez missed a shot at the goal. To make things worse for the Pumas, New Zealand further extended their lead to 3-21 when Naholo (17') and Ioane (30') scoring further tries and on both the occasions, Barrett kicked the extras. However, just before the break they were reduced to 14-men temporarily when Sonny Bill Williams was sin-binned though Pumas failed to capitalise on the advantage. Williams made impact on his return as his offload saw Ioane run close before he eventually sent Patrick Tuipulotu over the line as they claimed the bonus point and Barrett kicked the extras. Argentina finally showed some respite with two straight tries - one each from Tomas Cubelli (58') and Emiliano Boffelli (68') and Sanchez converting both to make it 17-28 but Anton Lienert-Brown capped off another fine game for Steve Hansen's men with a 73rd minute try to complete an 18-point victory.